The new J.B. 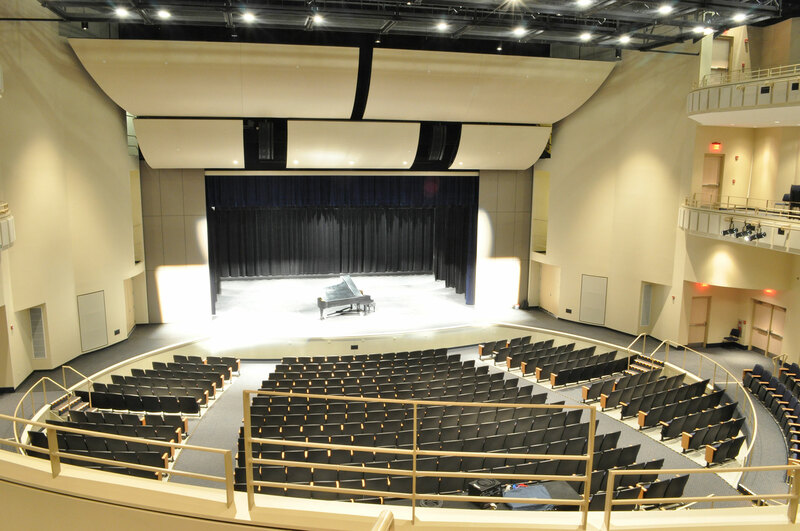 Chambers Performing Arts Center was built as an addition to the front of Wheeling Park High School. 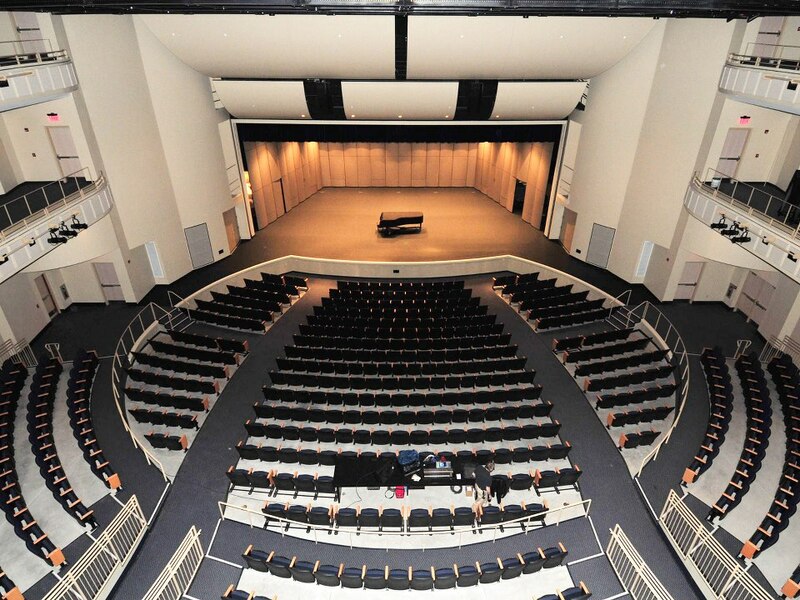 In addition to the theater, we also completed 6,000 SF of renovations to the existing WPHS. 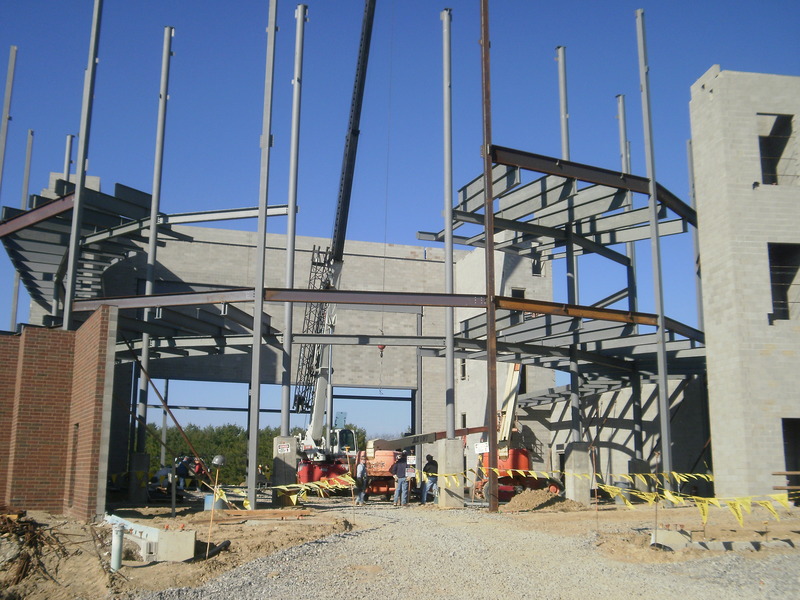 More than 100 local workers were involved in the construction of the facility. 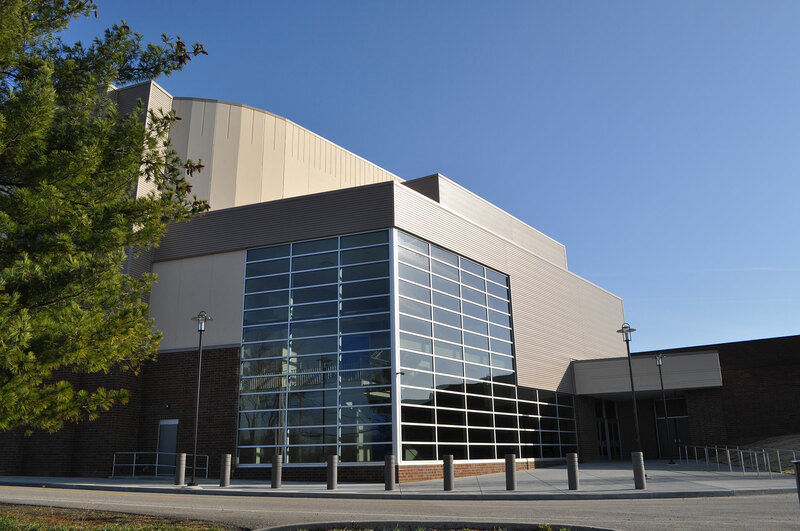 The 34,000 SF facility was created to support the long-standing robust Performing Arts Program. 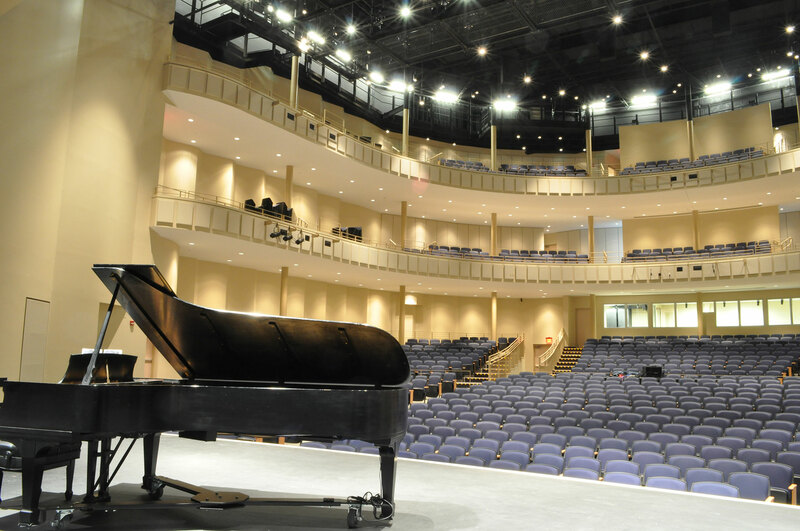 It provides a professional grade theater to showcase both musical and theater performances, and is used as a workshop for classes in production and performance. 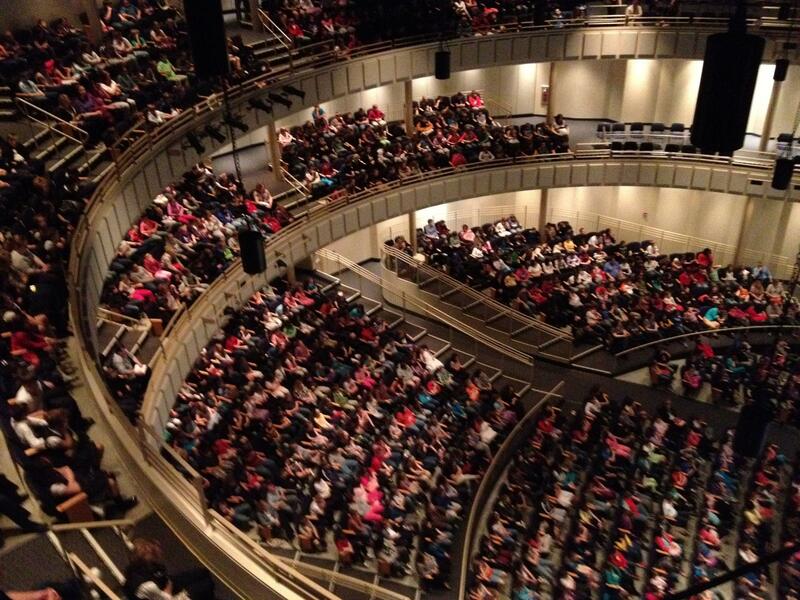 For these students, standing onstage in this unique venue is the first step of a dream-come-true. 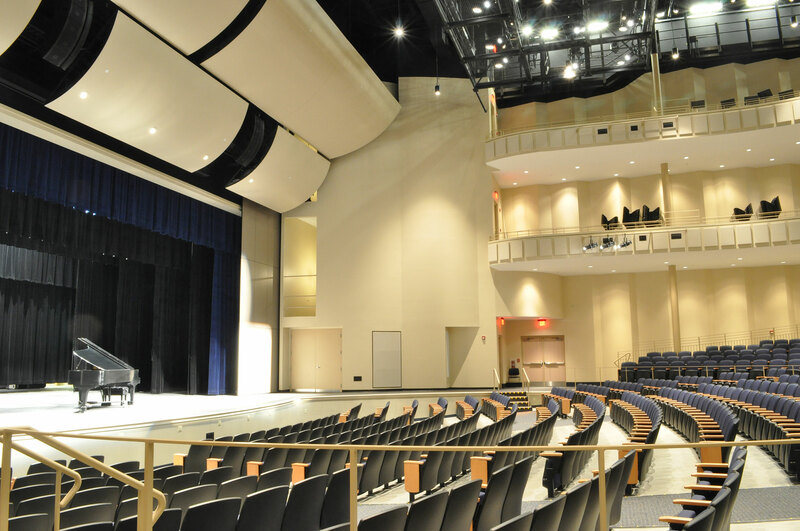 The PAC is not only a state of the art facility available to elementary, middle and high school students; it is also available to local community groups, colleges, universities as well as performances by the Wheeling Symphony. This facility is located on a site above a steep wooded park. Although dramatic, the site was difficult. The road was moved to provide sufficient building pad. Foundations were conventional spread footings with special materials placed on the sub grade. 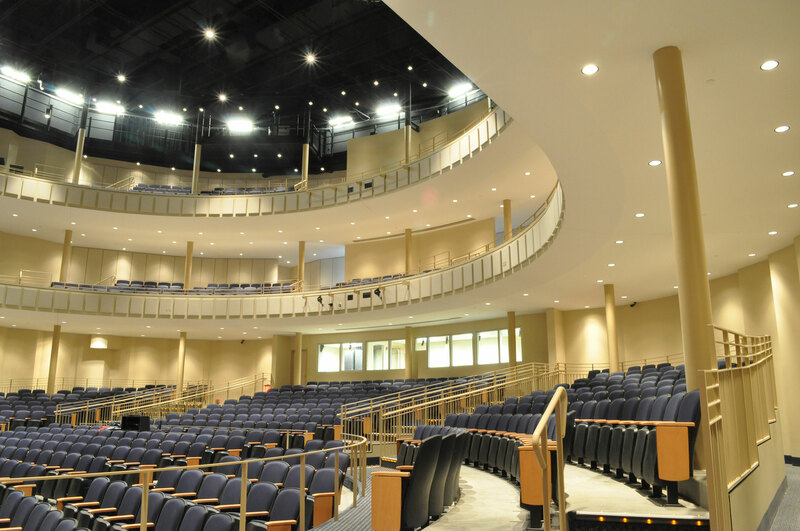 The Theater is linked to the existing school with a compact but dynamic 2-Story Lobby space. The Lobby features a central monumental stair, connecting the open balcony of the upper Lobby to the curtain wall-glazed angular geometry of the ground floor. 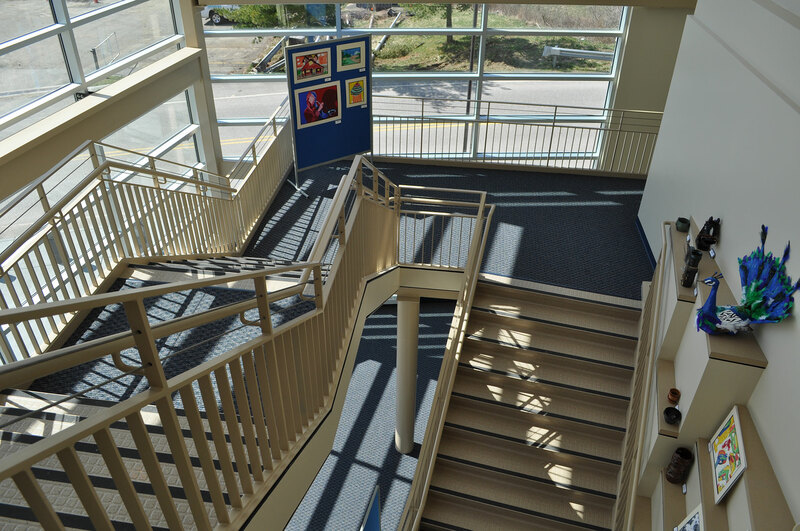 The over sized mid-point landing on this stair looks out onto the entry plaza on one side, and into the dramatic cascading hillside of the park on the other. 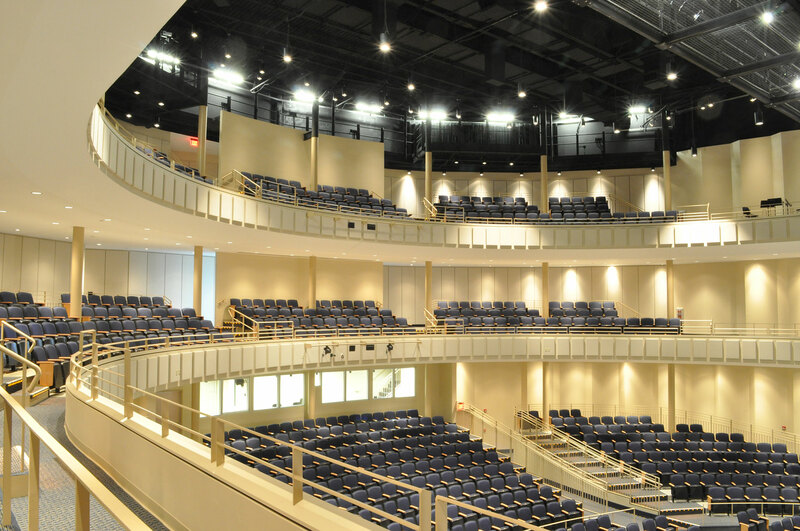 The theater was designed as a Gallery configuration with 2 Gallery levels. 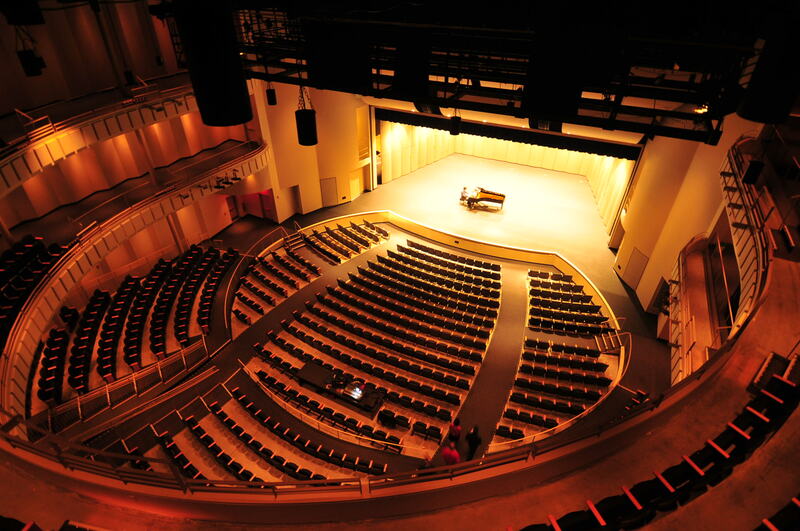 The Galleries are shallow, and wrap around in a crescent form, thus providing the audience with optimal proximity to the stage. 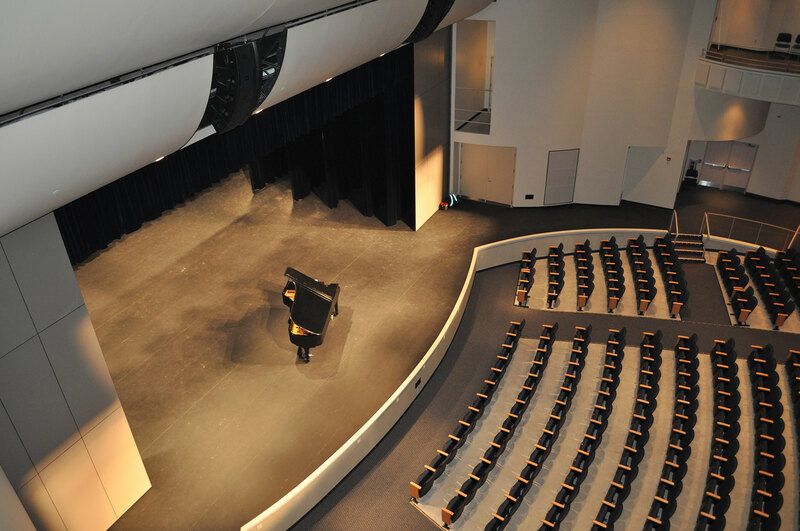 This allows even the back row of ground floor seating to be within 100 feet of center stage, and enhances the acoustical performance of even the unplugged presentation of student voices. 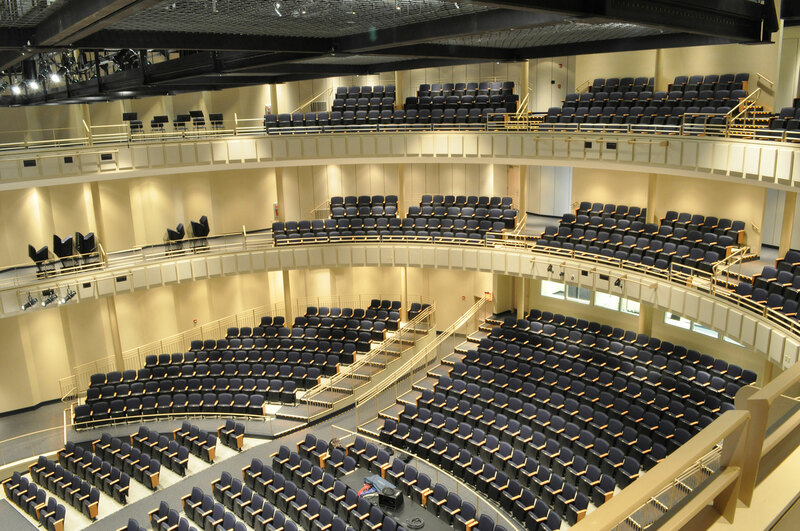 Ground floor seating for 800 persons is formed by curved elevated tiers with open railings; the 2 upper galleries each seat 200, but are only 4 rows deep. 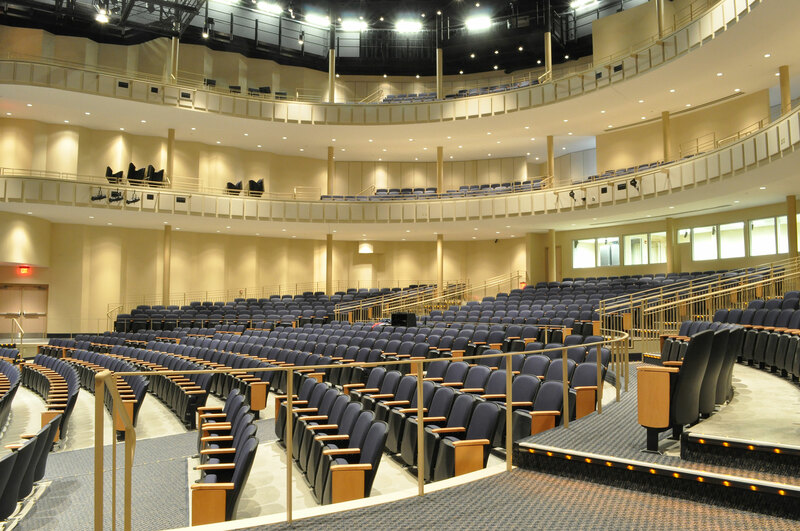 Ground floor side-aisles provide direct level access to stage. 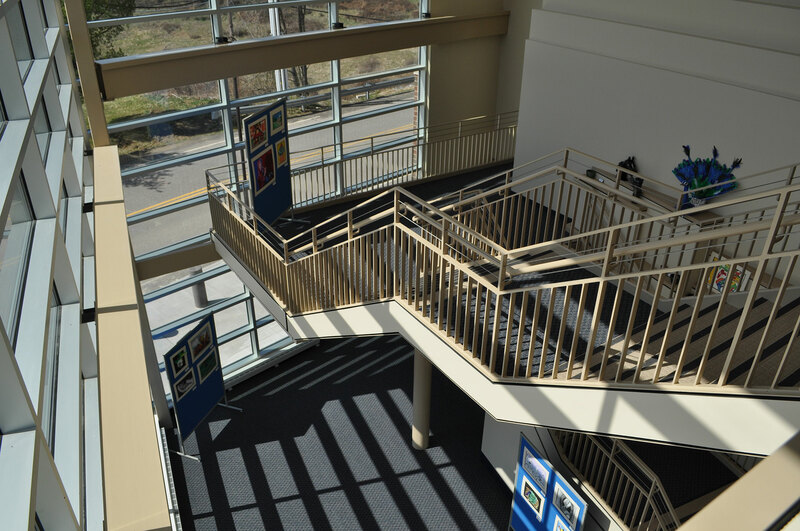 In response to the High School’s unusual concentration on performing arts and theater technology, the project showcases various components not typically found in public school facilities. A lighting catwalk extends around the entire house perimeter to provide crew access during performance. An open-view lighting and audio booth is located at the back of the house. Touch screen computers operate 350 lighting and rigging circuits, and audio controls. 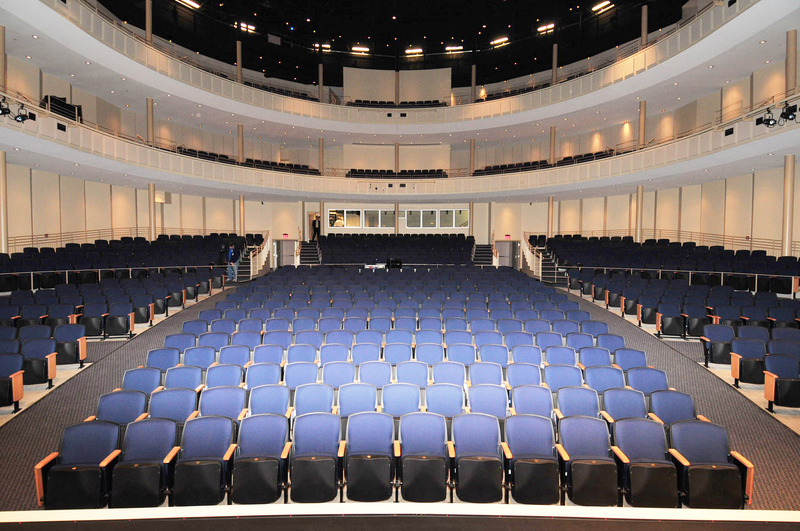 In the center of audience seating, a mid-house mix workstation allows direct audio control operations during performance. 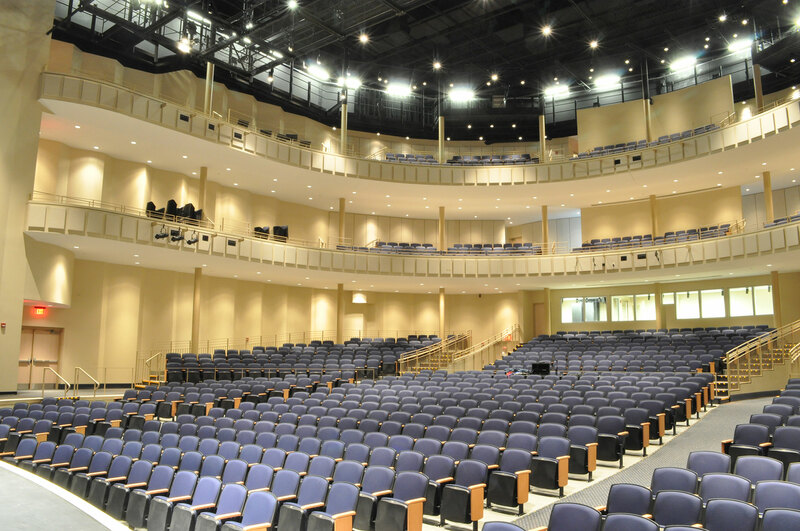 All of these systems are utilized as hands-on training for the Theater Arts students. 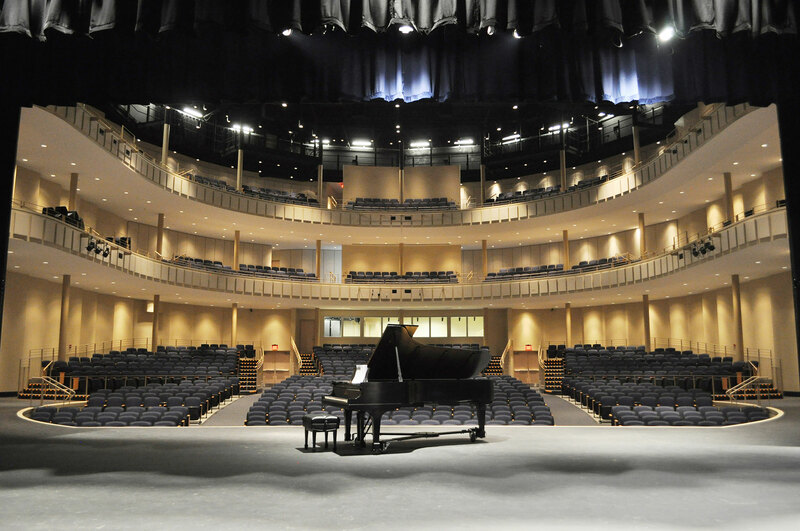 In addition, a Steinway grand piano was donated by the late opera star Eleanor Steber, giving the students another opportunity to use the highest quality professional equipment. 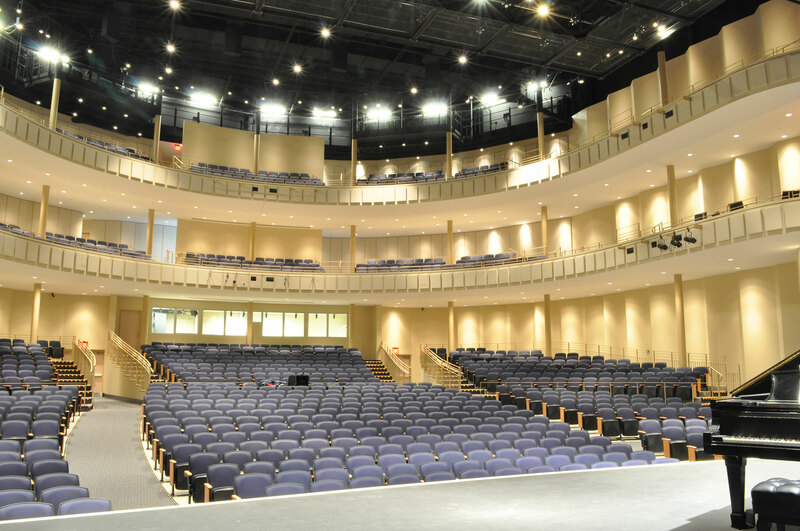 Backstage, the 4,000 SF multi-layer engineered stage floor system is supported by a full array of professional equipment, including a demountable orchestra shell and a suspended walk-able tension grid. 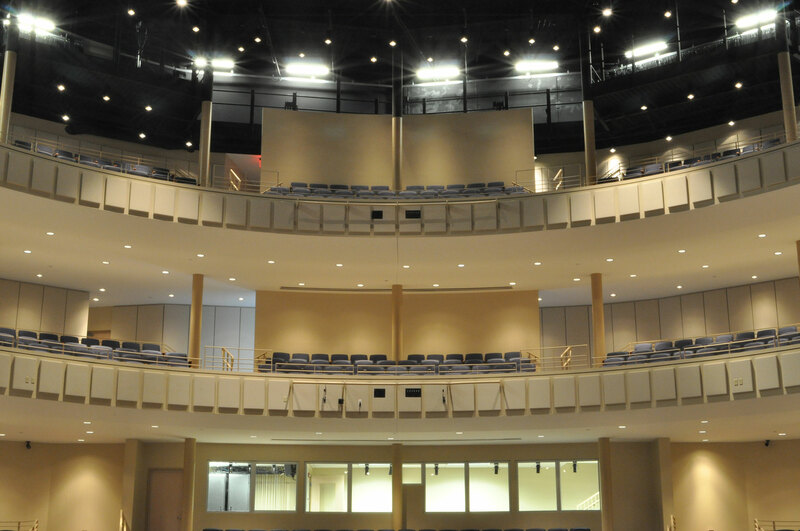 A structural steel grid-iron of above the stage provides crew access to the professional-grade motorized rigging equipment and smoke control vents. A 1,500 SF Scene Shop is located behind the building. This high-bay studio provides open volume workshop space for set construction and equipment transfer. 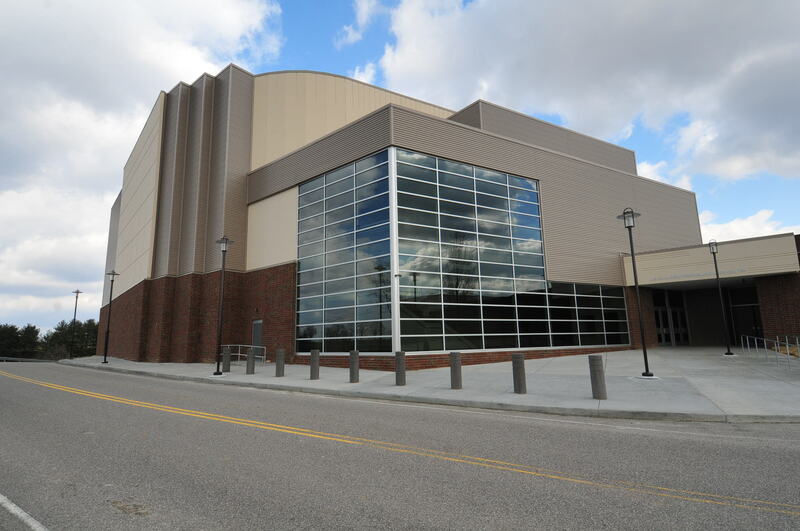 It has large doors on both sides: a warehouse door opens to the loading dock for deliveries and stage equipment. 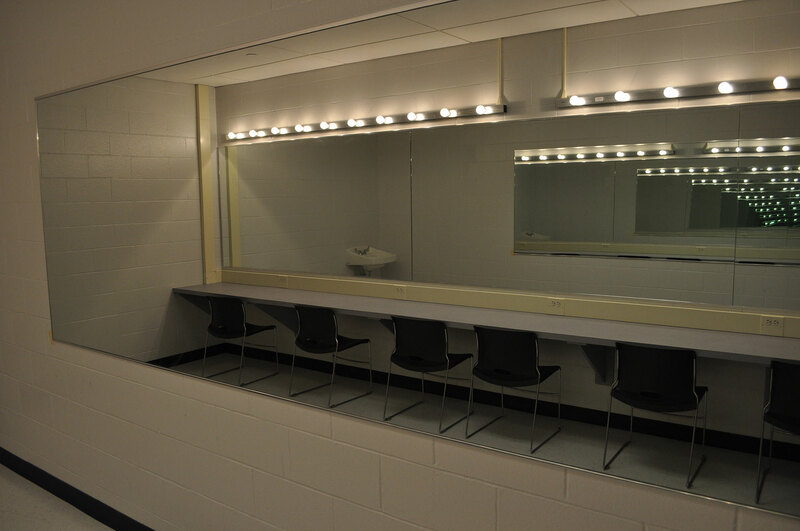 On the opposite (stage) wall, a 20 FT high door allows access and mobility for the tallest stage equipment and set assemblies. 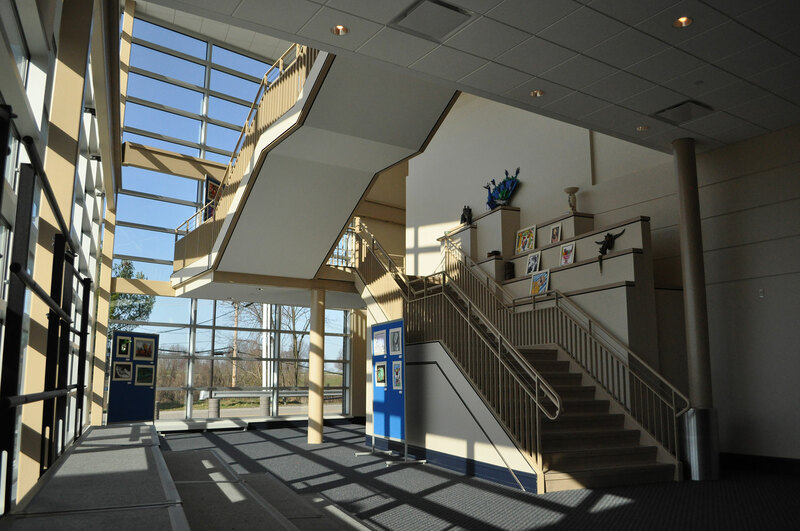 This project was selected as an Outstanding Design by the American School & University Magazine’s 2013 Architectural Portfolio; the premier showcase celebrating the best in education design! Jarvis, Downing & Emch, Inc.